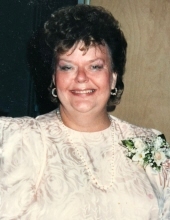 Betty Ann (Nevens) Munies, 78, of Plymouth, passed away Sunday, March 31, 2019 after a lengthy battle with Lupus and Diabetes. Born April 11, 1941 in Brockton, she was the daughter of the late Robert K. Nevens and Vivian (Wetzel) Nevens Berry. Raised in the Campello section of Brockton, she graduated from Brockton High School Class of 1959 and then received her Associates Degree from Massasoit Community College. She also studied at Stonehill College. She was involved in many enterprises while living in Virginia, South Carolina, North Carolina and Mission Viejo, California and eventually returned to Brockton, West Bridgewater and White Cliffs of Plymouth. Betty enjoyed traveling to Rome, Monte Carlo, France and touring Florida. She was very proud of her Swedish heritage. She loved play by play iPad chatter with her grandchildren during all New England sports. Most of all, Betty loved family gatherings and being with friends, worshipping and studying her Christian faith. She leaves three children, John K.P. Munies, II., Angela B. (Munies) Marte and Kenneth S. Munies. Betty also left her dear grandchildren, Christina, Matthew, Katherine, John, III., Michaela, Jessica, Eben, Anders and Annika; her son-in-law Eury and daughters-in-law, Julie and Michelle; very special cousins, Beverly Egger Hanson, Richard Rowley and Ronald Rowley. She was predeceased by her only sibling Wayne Joel Nevens who died at six and her baby Michael Troy Munies who died at four months. All family and friends are welcome to the memorial services which will be held in the Covenant Congregational Church, 204 Center St., North Easton on Saturday at 12:00PM. Private cremation will follow. Betty supported Sudden Infant Death research (SIDS) and requested donations to this worthy cause in lieu of flowers. "Email Address" would like to share the life celebration of Betty Ann (Nevens) Munies. Click on the "link" to go to share a favorite memory or leave a condolence message for the family.